Aadhar Card Registration: The unique identification card or Aadhar card is the twelve digits unique identification number issued to the citizens of India by the Unique Identification Authority of India (under the Government of India). 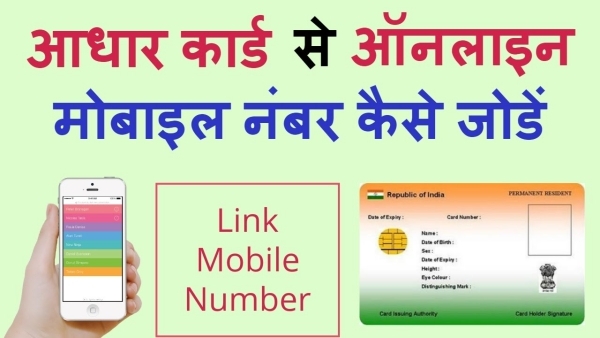 This card is one of the most vital documents of Indian citizen so as to provide them with a universal identification number and so, this is linked to all the official documents of an Indian citizen. There is no age limit for getting an Aadhar Card – all people starting from a newborn to a senior citizen, everyone can avail the facilities of an Aadhar Card. According to the Aadhar Act, 2016, only Indian citizens who have resided in India for 182 days or more, in the past 12 months before the date of application, are eligible for Aadhar enrollment. For Minors, UIDAI issues a Blue Colour Aadhar (Bal Aadhar) for children between 0 to 5 Years. After 5 years of age, the child needs to have his/her demographic and biometric details updated in his Aadhar card. Foreigners can also apply for Indian Aadhar, but they should also have lived 182 days or more before applying for Aadhar. The applicants for Aadhar need to submit their iris scan, personal photograph, fingerprints as part of the biometric details and their name, residential address and date of birth as part of the demographic information; mandatory for the unique identity, ‘Aadhar’. The steps for registration can be followed as mentioned below. By visiting the Aadhar enrolment center, or post offices or banks. Proof of identity and proof of address. Post this you get the Aadhar acknowledgment slip that mentions your Enrolment number. The status of the Aadhar card can then be checked online or through registered mobile numbers using the Enrolment Identity number. Aadhar enrolment is absolutely free of cost. The acknowledgment slip that is generated provides the enrolment number. This number is a 14 digit code. The acknowledgment also provides the date and time of submission of application and can be used to track the status of the Aadhar. The enrolment number along with the date and time of enrolment which forms the ‘Enrolment Identity Number’. Applicants can also know the status of their application through their registered mobile number, by visiting the official government site. After entering the 12-digit UID code, an OTP will be sent to the registered mobile number, for logging into the site. Applicants can also check the status of their Aadhar card through SMS service or by calling Toll-free number 1800-300-1947. For such services, the Enrolment Identity Number, registered mobile number and date and time mentioned in the acknowledgment mail will be required.